The casting news for Marvel’s upcoming Inhumans series continues to pour in thick and fast, and we now have confirmation that Ken Leung of Lost fame has closed a deal to play Karnak. 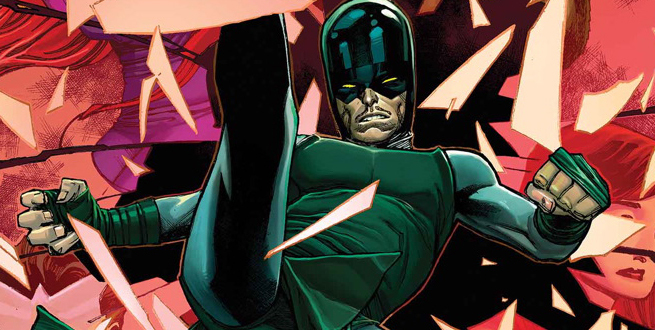 Introduced as Black Bolt’s oldest cousin and closest advisor in the comics, Karnak touts an ability to see the fault in everything – and we do mean everything, from peoples to plans to entire structures. Such a gift comes in handy when living under the shadow of Marvel’s Royal Family, particularly as Karnak often handles the philosophical side of things, as he provides a steady stream of pertinent advice to the all-powerful Black Bolt and the rest of gang. In light of today’s casting coup, Leung now joins Anson Mount (Black Bolt) Serinda Swan (Medusa) and Iwan Rheon (Black Bolt’s brother, Maximus), who’s best known for his performance as the wicked, downright evil Ramsay Bolton in HBO’s Game of Thrones series. Rheon will soon be trading one form of fantasy for another, though, and with The Inhumans gearing up to enter production in Hawaii over the coming weeks, we can readily expect to catch wind of one or two more casting announcements before the cameras start rolling. Touting “cinema-quality visual effects,” The Inhumans is expected to march onto ABC sometime this fall. Plans are in place for the first two episodes to screen via 1,000 IMAX theaters across Labor Day Weekend, which ought to give Marvel’s freshman superhero series a welcome boost ahead of its premiere on the small screen.